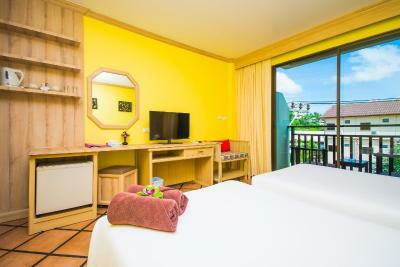 Lock in a great price for Phuket Island View – rated 8 by recent guests! The all included breakfast and the Capri restaurant on the property. The beach also was right across the street. One didn’t have to go far to find a very good restaurant for breakfast, lunch and dinner, and the hotel had a couple of pools in addition to being so close to the beach. Does it have a "genius member" adventage? My room is in the back on first floor ,very clean and big for 2 persons.The staff are nice ,breakfast is delicious and varied. The pool was a great place to hang out, and the rooms very mostly comfortable. Good location if you want quiet and don’t mind walking or a taxi ride. 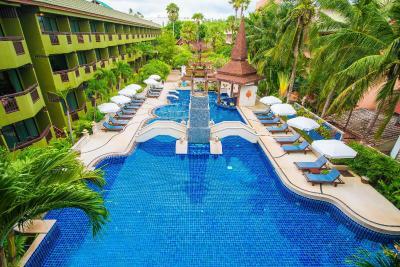 Phuket Island View This rating is a reflection of how the property compares to the industry standard when it comes to price, facilities and services available. It's based on a self-evaluation by the property. Use this rating to help choose your stay! 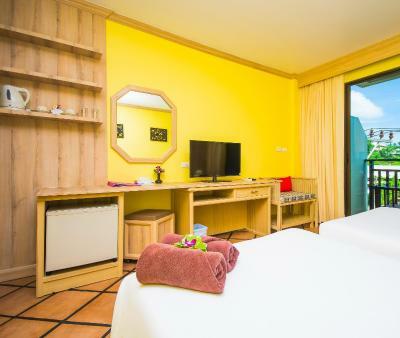 Located on Karon Beach, Phuket Island View offers rooms with private balconies amid a tropical garden. 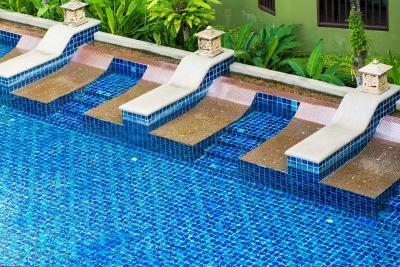 The hotel features 3 outdoor swimming pools, a spa and a restaurant. 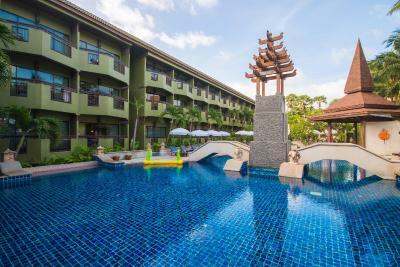 Island View Phuket is a short stroll from the shops and nightlife of Karon and Kata Central. The lively Patong Beach is a 15-minute walk from the hotel. 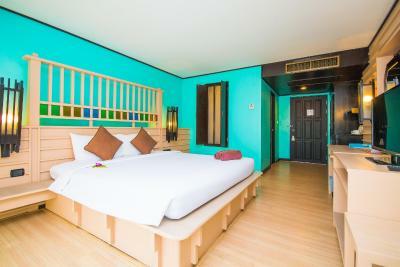 Decorated in a contemporary Thai design, rooms are spacious and bright. They feature tiled flooring and air-conditioning, and are equipped with satellite TV and a fridge. Guests at Island View can relax in the hot tub or unwind with a massage and body treatment. 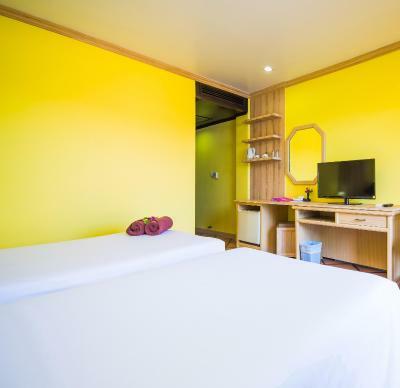 The hotel offers a tour desk and car and motor bicycle rental services. The Seabreeze Restaurant offers outdoor dining, serving local and Western food. Snacks and refreshments can also be enjoyed at the Beach Bar and the Pool Bar. 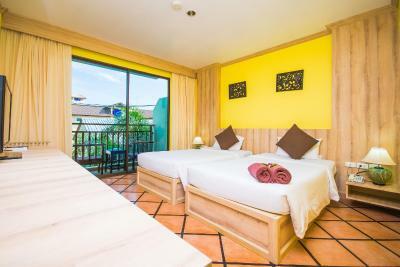 When would you like to stay at Phuket Island View? Standalone bungalow features a flat-screen TV and private terrace with outdoor seating area. An electric kettle and a refrigerator are provided. 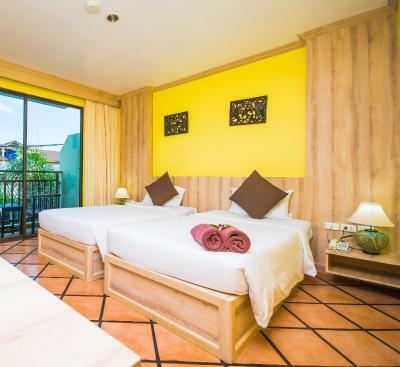 Larger air-conditioned room features a balcony, a cable/satellite TV and a refrigerator. A hairdryer and tea and coffee making facilities are provided. Select bathrooms feature a bathtub. Air-conditioned room features a balcony, a cable/satellite TV and a refrigerator. A hairdryer is provided. 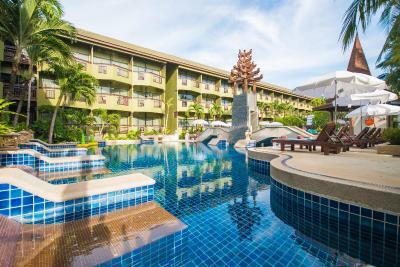 Phuket Island View, serving you with international standard of services and facilities. 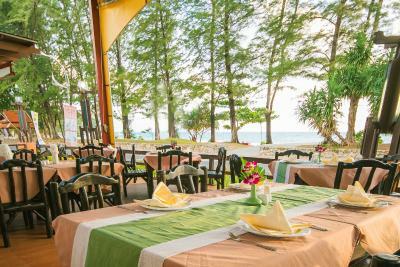 The hotel is just a few steps direct to the beautiful Karon Beach. You will experience an exactly feeling of Sea Sun Sand. 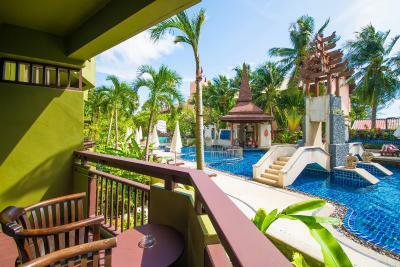 House Rules Phuket Island View takes special requests – add in the next step! Phuket Island View accepts these cards and reserves the right to temporarily hold an amount prior to arrival. Rude and unfair management. We were staying for 11 nights and had just one tea spoon in our room, which we used in turns. It was very inconvenient. Could you imagine how surprised I was, when during checkout I was accused in stealing second spoon and was asked to pay. It wasn’t a big amount of money, but unfair customer service really put me off. Never stay in this hotel. It was very close to the beach, just to cross the road, which was very busy and noisy. Good breakfast with lots of choices, but cockroaches in the restaurant. 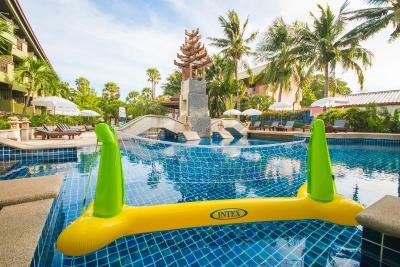 3 pools with sun beds and umbrellas to relax during the hottest time of the day. Good buffet Breakfast. The Beach is just across the Road. Peaceful location. Ideal for people who just want to relax away from hustle bustle of Night life. Basically lightening could be better by the mirror. Other guests hugging the sun loungers first in the morning by 8.00 am. Lack of English spoken by staff. Cleanissness.. making us few very welcomed hospitality was great. The hotel maintained well. The AC was not working well one night, but it was fixed in time for bed. Also, unless you are on the first floor, the hotel is not that accessible. The rooms are a bit outdated (furniture) The staff at the restaurant don't speak to much English and most of the time it was very challenging to make yourself understood. Close to the beach, very good breakfast and food was good in general. The pool-bar was very nice and we enjoyed our time there. Reception staff were quite abrubt bordering on rude. First time we have experienced this in Thailand after some 15 trips. Breakfast staff were not interested in providing service and never ever smiled. Numerous requests were not acted on. Lack of basics such as coffee cups, drink glasses, napkins were common most days. The swimming pool water was clean however the tiles above the water line were filthy. The swimming pool staff were friendly, especially the swim up bar personnel who were outstanding with professional and provided great service. 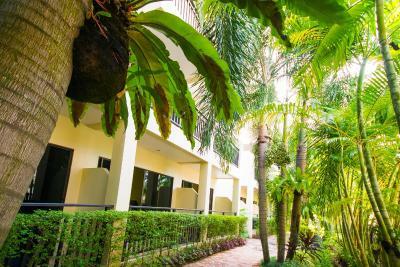 The room was spacious and clean and the cleaning staff courteous and efficient. The location was handy to restaurants and local shops and market. This is a 3 star hotel not 4. I believe they tried to upgrade by adding one extra pool thru removing a sidewalk and installing a bridge over that pool. Still the equipment of the hotel is a bit worn out, doors not closing sometimes, old TV replaced by the new flat but cabling probably remained old - picture not sharp. Breakfast OK... for the 3 star hotel. Restaurant where breakfast is being served is a disaster for a evening dinner. Thai food with no taste? ALSO NOTE!! There are extremely loud drinking bars next to the hotel playing till 2 am... and this is very annoying. 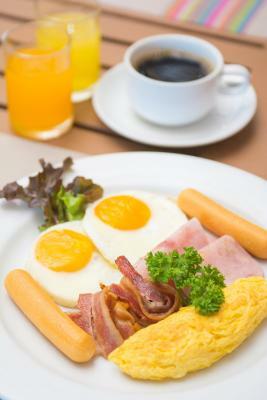 The staff unprofessional and the breakfast very bad. Nothing to eat about breakfast I prefer to eat near at another restaurant.